New players should make sure to enter the Juicy Stakes bonus code 1000JUICY after making their deposit. This is done by clicking the “Redeem Bonus” button after making a deposit. This will ensure you receive the maximum possible bonus. Juicy Stakes: 36% Rakeback Through FTR! FTR offers all new Juicy Stakes members 36% rakeback for life. Just create your account using the links on this page and you will instantly be added to our rakeback players. All rakeback is paid weekly, on Wednesday, for the previous week. And yes, you can earn the $2,000 bonus while earning your rakeback (described below). So while clearing the bonus, and even after it expires, 36% of the rake you generate will be returned to you… for life! The Juicy Stakes Poker Deposit Bonus is a tremendous value for any new player. The bonus is a 200% matching bonus on any first time deposit up to $2,000. This means a $1,000 deposit will net you a $2,000 bonus. Note: Rakeback players still have access to the deposit bonus, but earn the bonus at half the rate to non-rakeback players. The numbers below reflect this. The bonus is earned with play on real money tables in tournaments and ring games. Players can view details of their bonus progress in the cashier, under ‘pending bonus’. Funds are earned with Frequent Player Points (FPPs) and released in $5 increments for every 167 FPPs collected. This means a total of 66,800 FPPs are required for the full $2,000. This means if you play tournaments you’d need to pay $9,543 in fees for the $2,000 bonus, coming out to about 21% rakeback. Adding in the 36% rakeback already given and you receive a huge 57% cashback/rakeback amount while clearing the bonus! 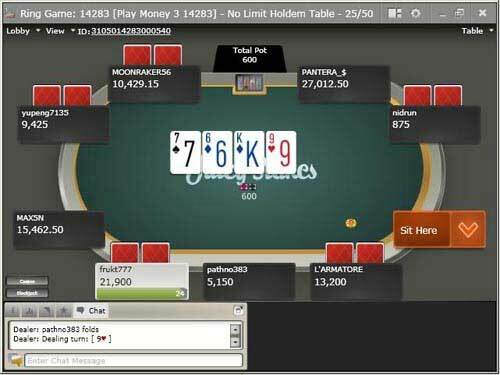 The bonus is much more difficult to earn playing cash games. We recommend SNG/MTT grinders tackle this one as it clears effectively 7x faster. Remember, you have 90 days to clear the full bonus. New players can also take advantage of the $500 New Depositor Freeroll, and are once again automatically qualified simply by making their first deposit. Juicy Stakes Poker clearly values its customers. There is also a weekly $1000 Bankroll Freeroll that players can gain entry to by winning a satellite tournament beforehand. 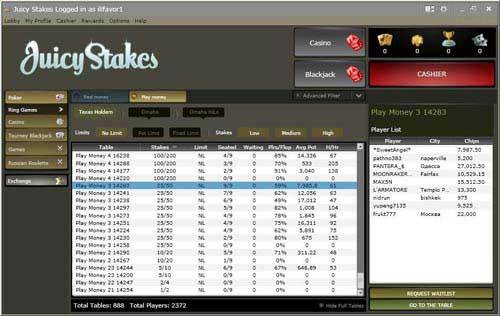 Juicy Stakes Poker offers a guaranteed $7 million monthly, so be sure to take advantage of this superb value.